Quincy Illinois Engagement. Hours before sunset in Quincy, Ill., Abby and Austin descended upon two telling locations for their engagement session: South Park and the Tiramisu restaurant. 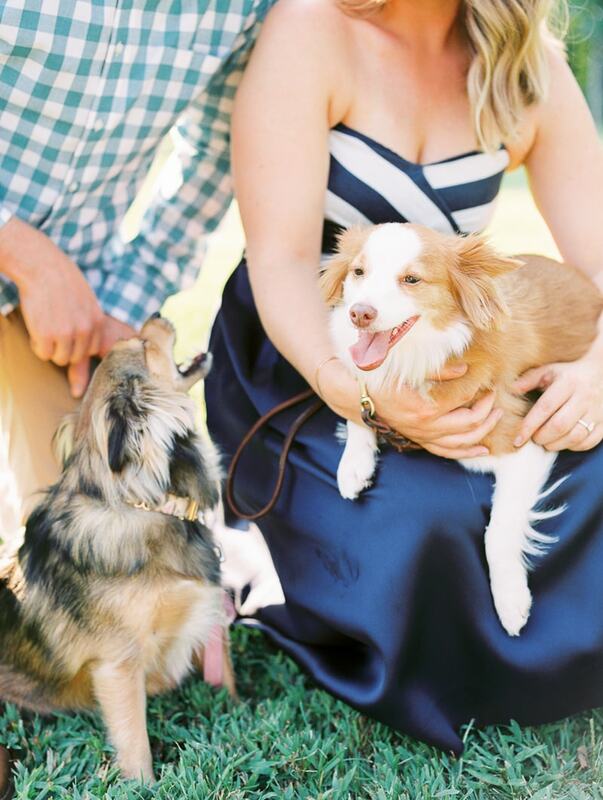 Every detail was carefully planned out – from florals to gorgeous accents to faithful companions, making this session especially meaningful for the future bride and groom. 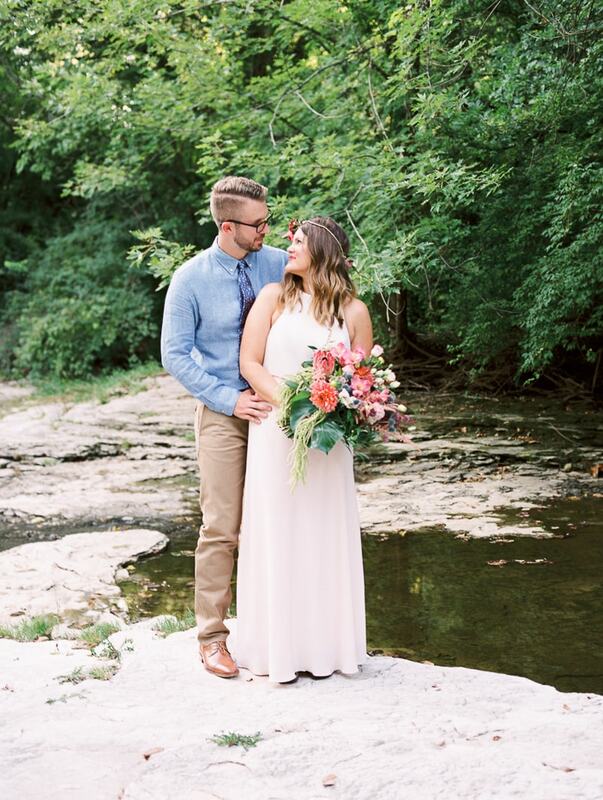 Bride Abby is a florist and she put careful energy into every aspect of the shoot. 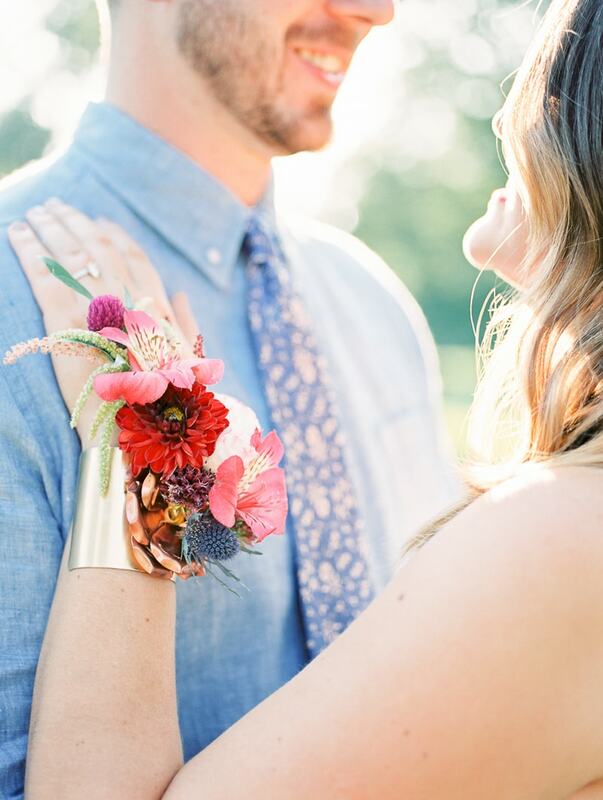 She incorporated red-inspired florals in her headpiece, cuff and burgeoning bouquet - a colorful spark to start the session. In the park, the two bask in the dying sunlight. Austin wears a long sleeve blue shirt and khakis that match perfectly with Abby's casual chic white maxi dress. They even make their way over to a babbling brook anchored by lush greenery to share warm embraces. The rich impression of her bouquet ignites the setting with color. They make a quick outfit change to ramp up the style. Austin dons a light blue flannel shirt while Abby stuns in a navy blue and white high-low dress. 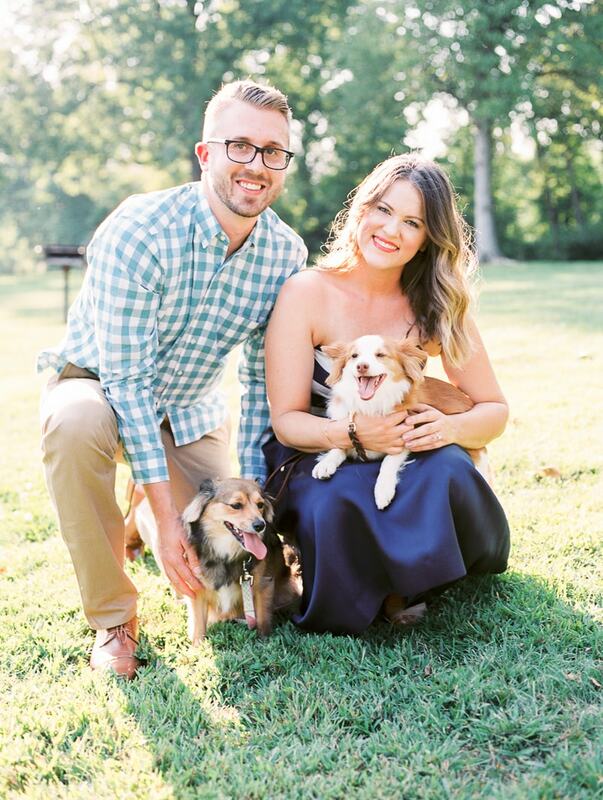 The highlight of the shoot came when their two pups – Annie and Stan – joined along, eager and excited to celebrate a day in the park. Before the daylight ceased, the couple made one more outfit change and headed over to a place near and dear to their hearts– the Italian restaurant where they had their first date. Austin looked handsome in a gray suit and Abby beamed in a bold red cocktail dress. One can clearly see where the inspiration for her floral design originated. They hop on Abby’s Vespa and ride off into the sunset, ready to begin this new, exciting journey together. 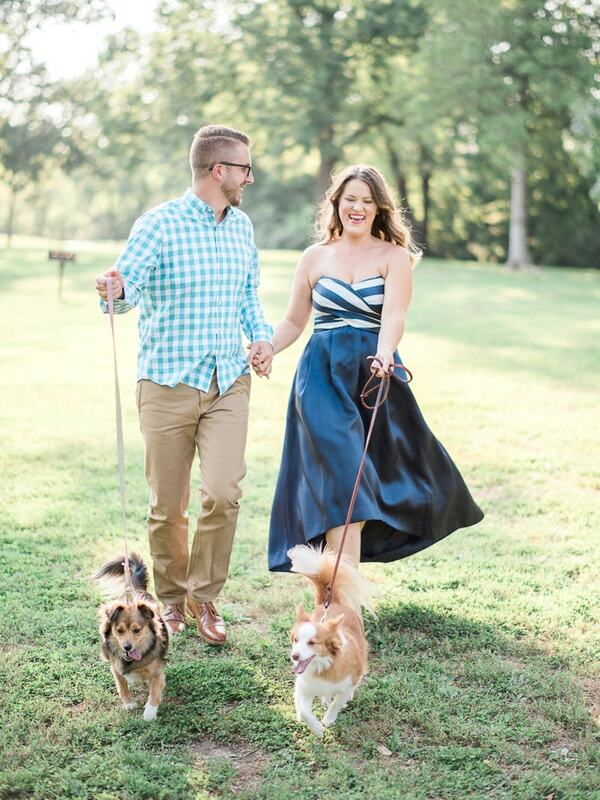 Incorporating sentimental touches throughout your engagement shoot, like Abby and Austin’s, is a subtle and meaningful way to share and celebrate your love story. It's an opportunity to recount and capture those special tokens of time you've gathered along the way, making these precious moments on film a priceless experience to remember.